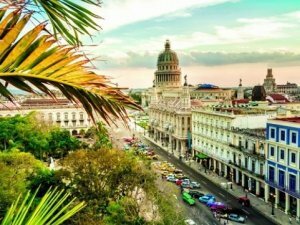 Seabourn joins sister brands Carnival Cruise Line and Holland America Line to be Carnival Corporation's third cruise brand currently approved to sail to Cuba. Carnival Corporation led the opening of the Cuba market for cruising from the U.S. in 2016 with its Fathom brand, becoming the first U.S. cruise company in over 40 years to sail from the U.S. to Cuba. Carnival Cruise Line's Carnival Sensation and Carnival Paradise now have several Caribbean itineraries that include visits to Cuban ports. The voyages, which began in June 2017, have become so popular that the 2,052-passenger Carnival Paradise, which became the largest U.S. cruise ship ever to sail from the U.S. to Cuba, will feature an additional 20 sailings to Cuba. Holland America Line's 1,350-passenger ms Veendam began sailing to Cuba in December 2017.